3 day delay in "flight from hell"
Passengers endure a 77-hour long delay. British Airways passengers on board flight 2036, that was supposed to take off at 19:25 local time, outbound from Orlando to London have said that they have been treated "inhumanely" after British Airways neglect their personal needs in a bid to convince their passengers that they are "looking after" them. 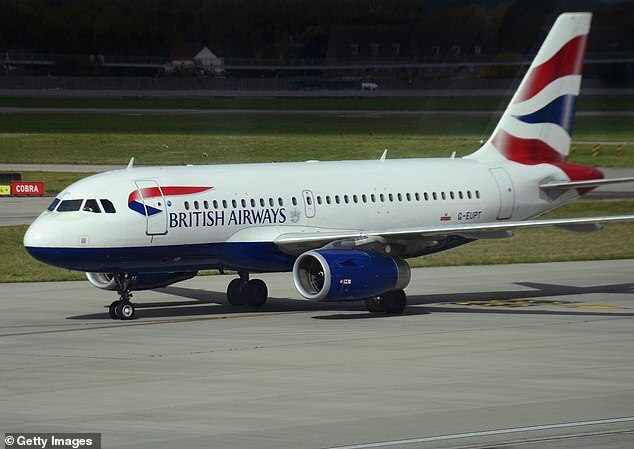 It initially started at Orlando, when over 200 passengers boarded the plane to later wait on board for a mere 4 hours with little communication until they were forced to disembark the plane, with not a single British Airways representative in sight, and leave to stay in a nearby hotel that had limited availability, with one family of four sighting that they had to share a small bed between them. The bus back to the airport was delayed a further two times before they arrived at the airport at 8pm the next day, over 24 hours since the plane was meant to depart. The plane finally took off at around 1am on the Saturday Morning before the captain came over the PA system to say that the original problem had came back and they would have to divert to JFK Airport, in New York. It has been reported that they had to drop the landing gear and lose a lot of fuel in order to make the plane lighter so that it would be possible for them to land in New York, this caused a lot of turbulence and made many passengers, who were already struggling with travel sickness feel very distressed with some people even having panic attacks due to their stress, their hunger and their tiredness. They eventually arrived at JFK, but would have to wait on board until 6am when the initial ground staff would make their way to their jobs to be told that there was no food available in the airport, and that it would be very difficult for anyone to get accommodation due to the taking place of the New York Marathon. Many were unable to organise their own accommodation, and those who didn't would end up sleeping on the floors of Terminal 7. It was not until the Saturday evening that passengers were able to leave the US and they completed their journey to the UK on the Sunday. Customers have been quite understanding, with one saying "Unfortunate things happen but it's how you deal with the crisis that's important and BA didn't have a contingency plan", but others sighted that their "communication with passengers was non-existent", which was shown when food was put out for them but no one was aware. One family, who saved up for years to go on this trip, have stated that a holiday of a lifetime, that consisted of a trip to Disneyland, had been ruined due to British Airways failing them when they needed help the most. British Airways have apologised to their passengers after the flight had been diverted to JFK for a "minor technical issue". No compensation to the passengers has been confirmed. The question still stands as to whether this service is good enough for a high cost airline, which is meant to be prestigious, such as British Airways. I'm always an advocate for British Airways, Never had issues with them - However, It is mainly them that seem to constantly fail their customers. I do like British Airways, but recently they have experienced quite a few issues, the data hack earlier this year, and this too. Nah, BA are bloody terrible. Taken four long haul flights with them in the past two years. All four were delayed, two for two hours, one for three, one for five hours. One had to abort takeoff and shut down an engine. All four had faulty IFE. Their Gatwick 777s are literal hellholes; their new product which I went on a few months ago is still far behind Norwegian and Virgin, and they've just slowed down the rollout. Utter disgrace to Britain. Thank god I'm flying Norwegian next year.